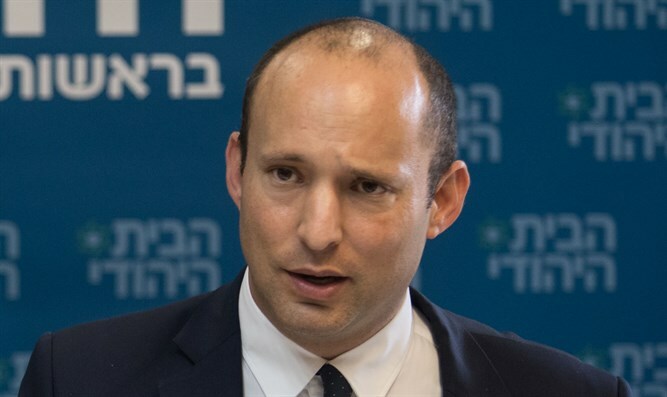 Jewish Home leader Naftali Bennett addressed his failed ultimatum to pull out of the government if he was not appointed defense minister. The Jewish Home had demanded that Netanyahu appoint Bennett as Defense Minister, threatening to bolt the government if Netanyahu refused. However, the faction backed down and decided to stay in the coalition despite Bennett remaining Education Minister. Speaking with Channel 2, Bennett said that "In the end, I preferred to put the country above politics, adding that "I knew that facing a nation and saying what I said and getting cynical criticism from political commentators was a move that came with a political price. Bennett also said that he doubted that Prime Minister Netanyahu would have enough time to oversee the defense ministry while tending to the rest of his responsibilities. "Will the prime minister have enough attention to deal with plans in Gaza, the Defense Ministry's acquisition and the creation of a target bank in different sectors while he has to deal with statesmanship?" Bennett asked. "What I'm good at is to take a system and breathe life into it fresh life," added Bennett. "In high tech, I took a company in a very difficult situation and we brought it to success, in math and science, after a decade of decline we reached success ... I want to do it in the defense establishment."